How Digital Signage is Reshaping the Landscape of Assisted Living Communities. The long-term care industry has changed. Seniors and their families expect innovative technology that makes life easy and fun. Digital displays are helping communities increase resident engagement and facilitate quality care. Retirement communities and nursing homes provide a variety of services and require efficient organization. Unfortunately, keeping paperwork organized is easier said than done. 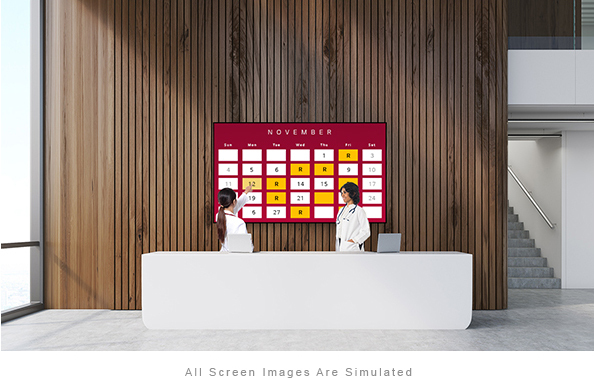 Digital signage provides an alternative, so staff aren’t always stuck sifting through piles of paperwork searching for one piece of information. Not only do displays make communication between staff easier, but they also help to reduce errors. For example, it can help eliminate double-dosing when paperwork detailing when residents were last given medication gets lost. Without up-to-date accessible information and proper communication, these mistakes can happen all too easily. Facilities can now use digital signage for medication reminders and schedules that reduce errors. A major issue facing the industry is the stigma associated with these facilities, which is why families wait until the last minute to put loved ones into care. They are reluctant because of the perceived quality of nearby residences, and feel guilty subjecting loved ones to a place that they fear won’t provide good food, and will bore them with a lack of activities. Fight this perception by showing off all your community offers using digital signage to advertise daily menus and activity schedules. Build a reputation as a home committed to care and happiness to attract younger residents. Families want to see day-to-day routines that will satisfy their loved ones’ needs. Moving to a home is a big step for incoming residents. They are leaving behind the life they are used to, and they have to adapt to new surroundings. Make their transition easier with digital signage. Reassure them, and their families, that you offer excellent care and an entertaining lifestyle. Digital displays effectively promote social groups to help keep residents happy. Activities provide entertainment, mental and physical stimulation, and act as a great comfort for lonely residents. 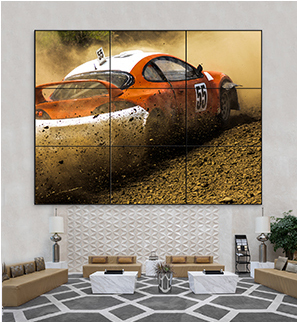 Screens can be joined together to create stunning video walls for movies in common spaces, or installed individually in rooms for residents. These reliable displays support up to 18 hours of continuous viewing per day. Better yet, advanced digital displays can be remotely controlled without interfering with nearby screens. Previously, technical issues like these would deter residents even turning on displays the facility had invested in. 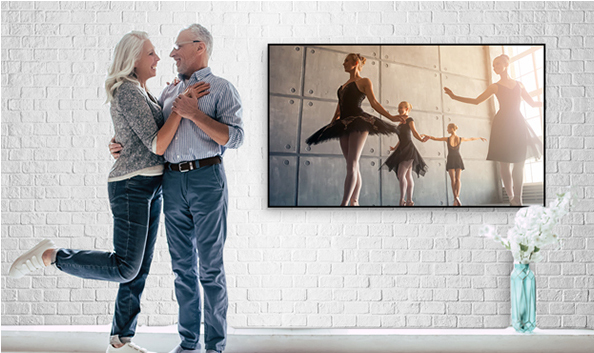 The LU340L display is tailored specifically for retirement homes. It is an easy-to-use screen that prevents interference, and features large fonts. Displays can also provide mental and physical stimulation for residents. Digital displays can offer cognitive games like Sudoku to aid memory care. These digital puzzles can help residents stay relaxed. Help residents stay fit with the digital signage based fitness and rehab available at the LG Content Store [https://us.lgappstv.com/]. Make simple physiotherapy available 24/7, with virtual routines that take users through treatment at their own pace. Adjustable courses reflect abilities, so advanced exercises won’t deter beginners. Showcasing activities every resident can participate in lets facilities present a welcoming community. Something simple like going for a walk shouldn’t pose a challenge for able-bodied residents. 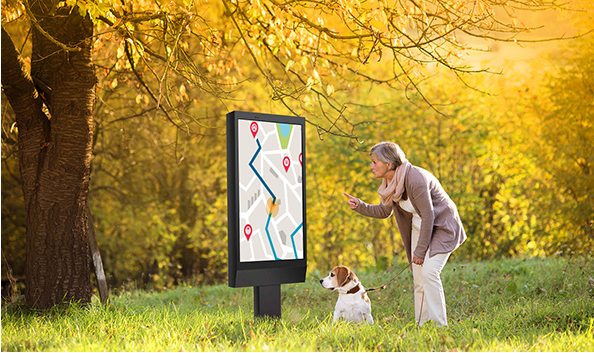 Displays with wayfinding capabilities let residents walk around without worrying about getting lost, offering interactive maps that guide them to where they want to go. Cut down on staff worries with help buttons that are only a touch away. These interactive displays encourage safe exploration helping make residents’ day-to-day lives more comfortable while working to eliminate feelings of isolation. Long-term care facilities need to adopt new technologies in order to appeal to younger generations who demand innovation. With signage that improves care quality and resident engagement, facilities become appealing spaces that seniors look forward to living in.